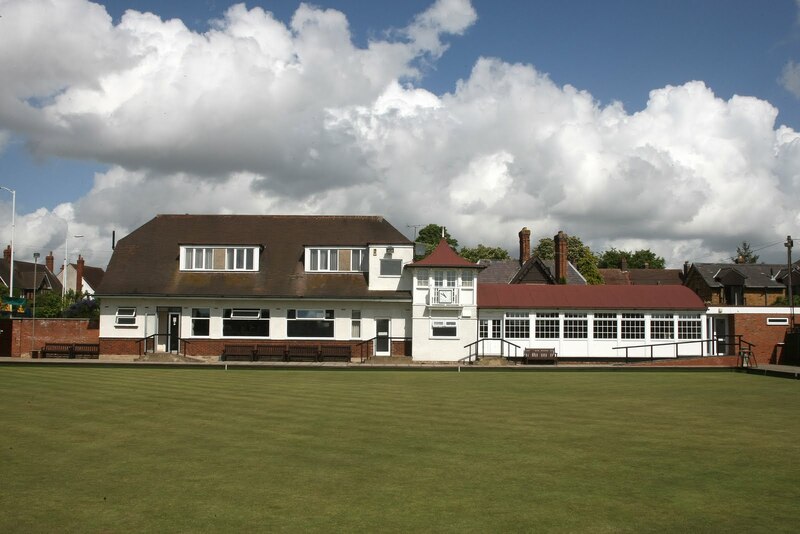 - Scroll down for latest bowling news and results. - Click through to the 'Off the Green' page for other club functions and outside events we're hosting. ABOUT US: Abington Bowling Club is one of Northampton's sporting institutions. Based just south of Abington Park, we are in close proximity to the Old Northamptonians Sports Ground. Just a short way east of the town centre. 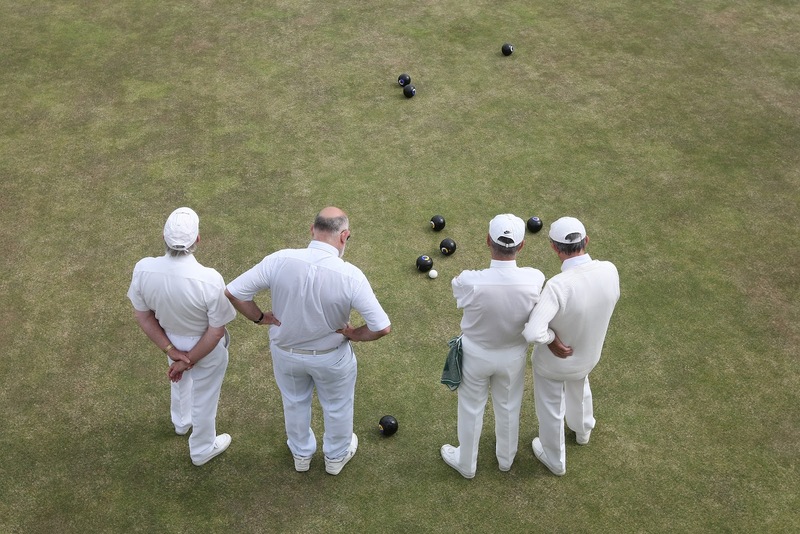 We provide a competitive but welcoming environment for anyone who fancies taking up outdoor flat green bowls, the most popular form of bowls, and the most inclusive of all sports. We also boast one of the biggest and most furbished clubhouses in the region, complete with lounge area, dining room and boardroom. We offer usage of any of these to interested parties. Click on 'Hire our Facilities' above to see what we can provide. ABINGTON'S LADIES were knocked out of the County Top Club tournament at the semi-finals by Higham Ferrers, having defeated Kislingbury in their first match. Across both games, the pair of Diana Brown and Debbie Cadd emerged as the stars, barely putting a wood wrong in the Kisle game to thrash Helen Blaby 32-10. After that, they similarly raced into a massive lead in the Higham game (vs Rose Houghton), eventually winning 25-13. However, whilst the triple of Judy Jones, guest sub Jill Welch and skip Barbara Astle also got the job done at Kislingbury, on the latter occasion, no-one else from the team was there to support Brown and Cadd's efforts. Indeed, it was mainly the pairs' major contribution to the shot difference that had seen them past Kisle. Both Debbie Bradshaw in the singles and the fours rink of Margery Keal, Pat Grant, Pat Parsonson and Gill Crossley lost on both occasions. (Albeit both reduced the deficit in the semi, with the rink managing to score 22, defeated only by the most agonisingly slim margin.) Against Higham, the triple were the biggest underperformers, going down 19 shots to 10, and Abington's wait to follow up their 2014 success in the competition will go on. IT'S BEEN NEARLY A WEEK, and we still haven't gotten over it. It will probably take a lot longer than that. Almost a month ago, they were seemingly already there. However, this sadly underwhelming season for Abington's men couldn't end without one last deeply painful twist of the knife, and the wielding was entirely self-inflicted. No valedictory celebrations, no salvaging of some small contentment. No targets met. Defeat at Kislingbury in the final game of the Monday league campaign confirms Abington B will NOT be promoted to Division 1 after all. A 12.5 point advantage with three games remaining has been sacrificed, and it will be Kingsthorpe who enjoy the glory of two sides in the top flight for 2019. On reflection, the biggest foul-up was the shock loss to Wootton Grange A in their last home game. The matter could - perhaps should - have been settled there and then with two game left. The form which took them to that precipice failed to re-emerge in time at either Heyford and this week's vanquishers, Kislingbury. To make it even more galling, the four and a half points conceded still wasn't enough to save Kisle from the drop to Division 3. The second tier remains thrillingly unpredictable for the neutral at least. Who for example could have foreseen that the returning Peter Milburn would be the skip who suffered the biggest defeat? And even the final reckoning of 9-21 required a late flurry of shots on the Abington side, with just three scored in the first eleven ends. Mick Taylor similarly needed eight on the final three ends to salvage an 18-all draw, having dropped a similar salvo at the midway point. These early drastic setbacks left the Bs' hopes in the hands of Dave Brawn and Peter Kneeshaw's rinks. The former did earn a point, but even their evening peaked at 10-0 up after three ends, whereupon they battled to preserve an advantage of between 7-9 shots. Not enough to equalise the aggregate deficit, especially after Kneeshaw's rink also lost. A bright start was snuffed out when they dropped a three on the sixth end, and after that they battled manfully against the tide to eventually lose by four. Staggeringly, having at one stage required just 3.5 points from a possible 18, their fate was now out of their hands - and so too was the prize when it was confirmed that Kingsthorpe B had taken another maximum at home to Wootton. It was almost too fitting that they be the very same side who had started Abington B's spectacular derailment. And a lingering fallout of that anti-climax was detectable back at base camo for the A-team as well, who just narrowly failed to dislodge St. Crispin's A from a top-half finish in the 1st Division. And here, the one combination that has worked so spectacularly well in the second half of the campaign, the two young Adams, Brown and Hawkings, slipped up. We do irony well around here. It would be churlish to complain about the overall performance, which marks a massive about-turn from how the season began for the As. It's just that too many campaigns have ended on similarly strong performances, which have notably failed to carry over into the start of the next one. Yet again, the final table shows that the As have had a disjointed time of it overall, losing more than they've won, and being the only side who failed to beat bottom side Earls Barton. Even though Kingsthorpe A have had an unusually outstanding season, our A side have ended up over 10 points distant from a West End team who have been well off the pace by their standards, and have finished behind a side who scored 62 shots fewer and conceded 50 shots extra! All of this is particularly disappointing because they're more than capable of sitting on the shoulders of the league's top sides at least. This win over Crispin's - and others of the last few weeks - was heartening, but it needs to be replicated consistently, week after week. As for the individuals involved, captain Jonathan Brown's brainwave was to invoke some 90s nostalgia and reform two triples that qualified for the national championships in respective years back then. And wouldn't you know... it worked! The skipper himself had a plunderful evening. Together with Dave Fage and Alan Coleman, he recorded 25 shots (and from a game truncated to 14 ends, according to league rules for September matches), to only 4 against. While on the next rink Tony O'Leary, Dave Vernon and Terry Brown recovered from a poor start to hit their opponents for 10 in five ends. Another late score of five confirmed their point. And let's not forget Phil Reeve's rink, who controlled their game with professional precision to steadily carve out a 15-6 triumph. More no-frills victories like this must be the resolution for next season, for both teams. THE PROMOTION PARTY has been postponed again for Abington B, after a disappointing loss at Heyford in the penultimate game of the campaign on Monday August 20th. As the A-team discovered in the knockout tournament a few weeks ago, Heyford - particularly on their own green - have the ability to pounce like a snake in the long grass. And now the B-team have also fallen prey. For the first time this year, they gained nary a single point from the evening, and the thrashing potentially throws the promotion race wide open again at the worst possible time. Mick Hall's rink were the worst offenders, registering just one shot from the first 19 ends. A late salvo brought the deficit back down to 12, but this was the finest hour of no-one involved. Peter Kneeshaw's rink lost by a similar margin albeit in almost the opposite circumstances, scoring just one shot in the second half, having been deadlocked after eight ends. In a way, this only made the one-shot losing margin of the other two rinks even more painful. But neither Mick Taylor nor first-time skip Trevor Aston, nor their teammates on this occasion, were quite able to alleviate the pressure that will be on everyone for the vital next, last, game. At least their fate remains in their own hands. However, with third-placed Kingsthorpe B having played this week's scheduled fixture early, Abington B went into this game aware that would be the case no matter what the result. Did this trigger a lowering of urgency levels? Well, all we can say for sure is there's no longer any chance of winning Division 2 outright. 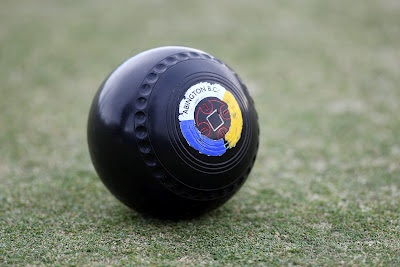 Congratulations are due to Desborough, who sealed a swift return to Division 1 with a comfortable victory at no less a location than Kislingbury B, which is the precise fixture Abington B will have in their final game. Kisle are currently bottom and in need of a Heyford-style wipeout in order to stay up, which bodes well. What bodes slightly less well is that Abington will be up against motivated opposition, while Kingsthorpe B, who play the now-safe Wootton B at home, won't be. Meanwhile, in the division they're all fighting to get into, the big story of the week was confirmation of Kingsthorpe A's seventh consecutive title (bringing their total tally to an incredible 25 in the 34 years since the league was founded). However, Abington A were wondering if they also had a claim to league history on Monday night, with poor old Earls Barton on the receiving end of a possibly unique whipping. It's rare in this league to see a rink score above 30, and extremely rare in this sport to not score at all. Yet, when hands were shaken on Dave Jones' rink, it was with a sense of naked relief that a most surreal humiliation was finally over. The final score: 44-0. Was this a league record? It must surely be a contender. Jones and co seemingly couldn't give the shot away. End after end, at least one of their woods proved unbeatable, or rescued the shot. The sheer probabilistic unlikelihood of it potentially runs into six figures or more. However, though it was surely the most charmed game they will ever experience, it would be churlish in the extreme to dismiss it all as good fortune. The profility of healthy end-scores - including three fives, two fours, and very few ones - shows the distinct gulf in class on the night. Also, Jones' teammates - the two young Adams, Brown and Hawkings - have proved the most deadly combination for the A-side this year. This was perhaps their crowning glory. As it was for the team as a whole. Admittedly, Barton were already condemned to the drop before this game, but too often lately the As have struggled against even the weaker outfits of Division 1, so it was a refreshing change to see some bloodlust this week. Jones' 44 didn't go halfway towards the aggregate scoreline, in which Abington hit triple figures. The second largest rink win was found on captain Jonathan Brown's, combining well with Phil Reeve to smack their opposition 23-12. The vast bulk of this was plundered between ends five and 12, during which period they scored 19 shots and conceded a mere three. Meanwhile, John Freeman continued his usual fine form on Mondays, never scoring more than two shots at a time, but doing so on a clear majority of ends. And nostalgia was the serving of the day on the rink skipped by Terry Brown, re-uniting with Dave Vernon and Tony O'Leary, 23 years since their famed qualification for the national championships. The trio rolled back the years to win 19-12, sealed emphatically with a five on the 13th end. All of which makes it even more bizarre that the dreaded R-word was passing off some - nameless - people's lips just a couple of weeks ago. (Daventry are now confirmed as the second team to follow Barton down to the second tier.) In fact, if St. Crispin's are put to the sword in a similar fashion when the final game is played in a fortnight's time, Abington A will finish in the top half after all. ONE HAD HOPED to be reporting on a cause for celebration by now. However, the Abington Monday league B-team will have to wait at least one more week to seal promotion to the top flight after defeats in their last two matches. The first, away at Desborough was no great surprise, though still a slight disappointment in retrospect. The Division 2 leaders had already lost in the reverse fixture and would go on to lose again the following week, their early swagger now an acute wobble. Still, they were always favourites and two points was not a tally to be disheartened by. Considering that the Bs' two rink losses were against skips who represent the county team regularly, there were still grounds to assert their overall superiority over the rest of the division. However, there is simply no other description for the subsequent loss to Wootton Grange A other than a badly-missed opportunity. A home fixture against a side who have struggled all season, and as it transpired, Desborough losing elsewhere to third-placed Kingsthorpe B. A win here would not only have sealed promotion, but presented another chance of winning Division 2 outright. The fact that only Mick Hall's rink ended the evening on a positive note was a shock. No rink was comprehensively walloped, but at the halfway stage, that was the fate hanging over Abington B's head. Even Hall's rink had to produce a second half comeback (from 2-10 down), to claim their point. A four on the last end for Reg Jones made his rink's score respectable, but it had taken until the ninth end for them to register even one. Meanwhile, Mick Taylor and Pete Boulden were reliant upon the odd three or four to keep the gap slim. Was there a touch of complacency creeping in? Whatever the reasons, hopefully they can be rectified in at least one of the final two games, both of which will be away. Heyford first, then Kislingbury. One major factor in the Bs' favour is they have a game in hand. With Kingsthorpe B having already played next week's scheduled match at Bugbrooke, our men can breathe a little easier with the knowledge that any form of win will be enough, and no result can take their fate out of their own hands. Defeat though would throw everything wide open going into the last game. On a lighter note, the A-team have finally begun playing like one. The four-game run from hell ended with a spectacular climax against West End. Which was followed up with a healthy dismantling of Daventry Town A, who now appear certain to go down. The former result was admittedly partly down to West End being unable to field a full side of players, giving Abington one on the board and a 10-shot advantage before it even started. Nonetheless, the three remaining rinks all had difficult tasks to perform. Keeping West End quiet requires a high standard of performance. At the end of a tense two hours, Abington were five shots to the good in a remarkably low-scoring game - and every rink had managed a win. It was a truly superb all-round display of grit and determination, the kind that makes one wonder why it has been so lacking for most of this season. The only lowpoint of the night was the news that Daventry had also managed a shock win over second-place Express. So, it would still require beating them to be sure of safety. And although not mathematically certain just yet, it would now take a very improbable set of results to put Abington A down, They emerged from Daventry with another four and a half points, and two winnable home games remaining. Overall, it would be fair to say that the Daventry performance was, yet again, somewhat disjointed. The aggregate was never in doubt the moment that Adam Hawkings' rink began their devastation. Two fours had helped put them 10-6 up after six ends, and they never dropped again. Elsewhere though Phil Reeve had to fight back from 2-12 down at halfway to make his rink's score respectable, while John Freeman's ebbed and flowed and eventually ended up all square. At least captain Jonathan Brown had a better time of it, surviving a late scare to enjoy what has become a rare feeling of late, victory. And from that salvation and comfort. The worst has now seemingly passed, and Abington A even moved up a place to fifth. That may well be the limit of their ambitions for this season now, though St Crispin's are still just about catchable. However, the important news is that, for the first time in a while, the As are looking forward optimistically. Here's hoping we can even report a joyous reunion in Division 1 next week. ABINGTON B MOVED another few steps closer to the top flight on Monday July 30th, comprehensively defeating a promotion rival in the process. All but half a point was secured in the home game vs Bugbrooke, moving the Bs 12 and a half points clear of the side who began the day in third place (but who have ended the week fourth after an even bigger defeat to Kingsthorpe B in a game brought forward from the penultimate round of fixtures). Elsewhere, Desborough maintained their lead of Division 2 by beating Brackley, but only shot difference separates the two teams, who will now face each other for control of the title race. If the ultimate glory proves beyond Abington B, they have a safety net to protect their promotion hopes. The gap to third has elongated to nine points, with a game in hand on the two sides immediately below them. However, there is still no room for a relaxation period. Three of their remaining four games are away from home, and with only two and a half points splitting the bottom half of the table, everyone still has something to play for. Against Bugbrooke, Peter Milburn's rink achieved the biggest win, teed up by a four and a five on successive ends at the exact halfway mark (a superb response to dropping five on the seventh). For a while it seemed Reg Jones' trio would carry that honour, but a 16-3 lead at nine ends was steadily pegged back to 18-12. Nevertheless, every point carries the same weight. It matters not how it was won. The night wasn't completely perfect. Although it would be a harsh reading of affairs, Mick Hall's rink did technically cost Abington B top spot going into the Desborough game. To give them their due, they had fought back from a wayward opening, in which they were 2-9 down after seven. Between ends 13 and 15, a salvo of eight shots not only put them into the lead, but did so by a comfortable margin. Then, inexplicably, they ceded the five-shot advantage back right at the death and Bugbrooke returned home battered but not completely without honour. Let's hope it proves influential in a positive way. Yet another reminder that in Division 2, you must keep your wits at al times. But if that summation seems like finding a cloud in a silver lining, then the experience from Abington A's perspective is definitely the complete opposite right now, and seemingly more futile. In the midst of their four-game run from hell in the league, they were also stunned in the quarter-final of the league's knockout competition by 2nd Division Heyford. It has truly been an awful week. Just one point apiece from the visits to Express and West End (the latter fixture a holdover from seven weeks before) and a third humiliation that actually preceded the other two, on the only wet day of this perpetual heatwave. Phil Reeve and John Freeman's rinks both won, but neither can be excused their part in this, having triumphed by only two. Not only not enough to offset the continued misfiring of the Chris Beck/Dave Fage/Tony O'Leary and Colin Barnes/Alan Dunkley/Jonathan Brown combinations, but reasonably comfortably so as well. The two better performing set-ups would go on to earn the As their meagre points rations from the two league games, albeit on occasions when they were skipped by Terry Brown and Dave Jones respectively. Considering the quality of the opposition on both occasions (including a former national champion and finalist of the last two seasons), these are not to be sniffed at. If there is any point at which Abington A's survival in Division 1 is vanquished from their own hands, then will be the time to panic. ANOTHER GAME, ANOTHER STRIDE closer to Division 1 for Abington B in the Monday triples league. They rode by the seat of their undergarments at times during a narrow win over Kingsthorpe B, who attempted a late comeback, but simply ran out of time. Initial tributes must surely be paid to Mick Taylor's rink, who simply crushed their opponents into a cube, dropping shots on only four ends - and only five shots in total. That was as many as they picked up themselves on the ninth end alone, the score which effectively sealed the win. A final flurry of eight on the last four ends was not mere showboating though. Despite the cool superiority of Taylor and company, it was the other Kingsthorpe players who were inspired to produce more goods at the close of play. It cost the Bs one point and so very nearly took three more. Peter Boulden's trio were powerless to prevent a four-shot advantage penduluming into a three-shot deficit over the final few ends. The last end was the only time they lost the lead in the whole match. Captain Rob Archer's rink, skipped by Peter Kneeshaw, nearly suffered an even more disappointing fate, dropping four of the last five ends. Thankfully, their one score of this barren patch saw enough shots to keep their noses in front to the very end. Having shot into an 11-0 lead after three ends (and later up 14-4 after six) it was odd to have walked off at the finish with relief the primary emotion, but another reminder that nothing gets handed to you in Division 2. Every last point, even the ones that look comfortable, must be grafted for, and thereafter treasured. Mick Hall's rink offered stern resistance, but little else, finding it insurmountably difficult to score themselves. 11 shots were dropped from eight successive ends. The scoring did at least even out slightly later on, allowing some respectability to be salvaged. Another hard-earned four points was the final haulage. Shortly after came some delightful news, Div 2 leaders Desborough had been sensationally defeated 5-1 by Heyford (lifting the latter out of the dropzone for the first time), and Abington's narrow win had brought them within one point of the top. The gap below to third place remains the same as before at seven and a half points. With the next two matches against the sides sandwiching them, the Bs are about to feel the squeeze in a potentially make-or-break fortnight. Up in Division 1, the As' own four match run from hell did not start brightly. Champions Kingsthorpe A took their usual 6-0 share of the points. There were two small saving graces, no individual rink was humiliated, merely second best. In fact, Abington held a narrow lead after the opening six ends each, but thereafter little else went our way. One passage of play on John Freeman's rink was symptomatic of the night - immediately after taking a five to put them 9-2 in front, they then dropped 11 on the next three, and barely scored again. Kingsthorpe's star quality is too much for almost any side in the league, and they look set to win it in style this year. Tony O'Leary's rink came the closest to a point for Abington, and were left rueing one sole disastrous end at the halfway mark, having scored on nine of the 16. The second faintly heartening note, and also the more important one, was similar whitewashes elsewhere ensuring no change in the balance of power at the bottom of the table. With trips to Express and West End still to come though, Abington A may soon find one day that living off scraps is preferable to complete malnourishment. THE SECOND HALF of the Monday evening league campaign began with a marked improvement in the A-team's fortunes, while the B-team kept their promotion bid ticking over with a narrow win at Brackley. Mick Taylor's and Peter Milburn's rinks ensured the Bs took four points from their jaunt to the (relatively) distant town in the south-east corner of Northants. On a notoriously large green, the Bs found it difficult to replicate the form of recent weeks. Nevertheless, they produced just enough, and when it most mattered. Taylor's trio were consistent scorers, dropping shot on only five of the 16 ends, while Milburn's produced a late spurt to turn a previously tight scoreline into a reasonably comfortable one. And with an aggregate winning margin of just five, how vital seven shots on the last three ends proved to be. Not that the two defeated rinks' effort should be discounted of course. At this stage, every little contribution counts, and both only lost by six. The following day brought even better news, with the discovery that for the second week in a row, the team immediately below them had lost. Kingsthorpe B's shock loss at home to struggling Heyford - taking the latter off the bottom for the first time all season - allows Bugbrooke to leap back into third place. Most crucially, the gap from second to third extends by another point. Nevertheless, the Kingsthorpe/Heyford result is yet more proof of how you must keep about your wits about you at all times. There are many battles to be fought yet, and the next one is against a hurting Kingsthorpe B at home. One division higher, in the top flight, Abington A are still trying to work out what precisely the revised target should be. For some doom-mongers, avoiding relegation is the priority. While that has always been treated as nothing more than a dark joke by most, if Whyte Melville A had replicated the disaster wreaked upon ours As in the opening game of the season for this past week's return fixture, it may no longer have been so funny. Such thoughts may now begin to recede after a 5-1 win over Melville, albeit with significant caveats. Firstly, the 17-shot difference between the two sides was down entirely to the work of one rink, skipped by Phil Reeve, who went a mad charge of 16 shots in six ends in the second half of their game. The other three rinks between them were level overall, and the two that won both required late interventions to guard against another Melville humiliation, John Freeman's rink doubling their score from eight to 16 late on (and only winning by three) and Tony O'Leary's snatching a three on the last end to win by one. Conversely, captain Jonathan Brown's rink suffered a severe case of the jitters and dropped nine shots over the last three ends, including a six at the death. So despite what appears a much more assured result, Abington A still need to up their game significantly. The next few weeks brings the league's ultimate test - all of the big three away from home - first Kingsthorpe A, then Express A, then West End A - followed immediately by the return encounter with West End! Four games and two weeks we are unlikely to forget. Will they destroy us - or make us? ABINGTON'S HOPES of representation at the National Championships in Leamington Spa withered drastically this week, but there remain a few isolated survivors. What we now know for sure is that the major men's competitions are all closed off. Alan Dunkley had got to whites in the men's singles, but exited at the last eight stage on the evening of Thursday 12th July at Wellingborough. 11 shots against Northampton West End's Darren Childs, last year's national, nevermind county, runner-up was respectable enough, though tinged with the disappointment of having dominated the early exchanges. Childs was only on 6 when Dunkley hit double figures, but it was not a sustained peak. And it rounded off a hard week for Dunkley, in which his county fours set-up, skipped by Jonathan Brown were knocked out in the group final by Chris Bland at Express, two rounds short of equaling last year's semi-final run. 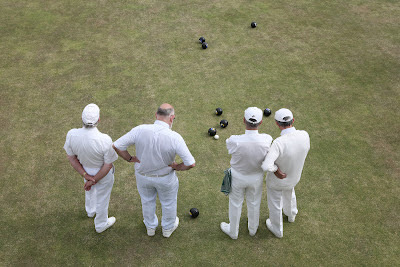 And then his senior fours suffered the same harsh fate in the last four of that comp, at the hands of Wellingborough's seasoned pro, Walt Winsor. Thankfully, the other Abington Over-55 semi-finalists, Alan Mann, Trevor Aston, Chris Beck and Peter Milburn, did prevail. Their game, versus Desborough's Malcolm Winckles, had been practically deadlocked until the last couple of ends. On this occasion, mouse defeated cat as the Abington men constantly took the initiative before being pegged back. Eventually though, their opponents gave up the chase. Unlike in the other competitions, they are not yet guaranteed a Leamington spot, and sadly nor is the club following the defeat of Dunkley's rink. If Milburn is to qualify, he must get revenge on over Winsor on their behalf. One good bit of news for Dunkley was just such an act of vengeance in the national senior singles. Kingsthorpe's Martin Gearey was finally felled by an Abington man at the fourth time of asking. Only John Haines of Desborough now stands in Dunkley's way of reaching the finals stage at Bowls England HQ. 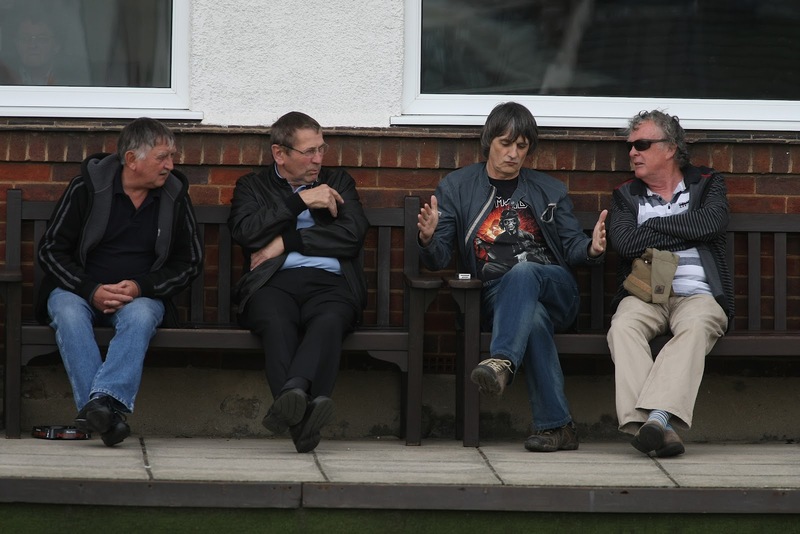 Elsewhere, the other surviving county fours entrant from the previous week, skipped by Mick Taylor, were unsurprisingly thrashed by 7-22 by the all-star rink of West End's international Jamie Walker. All attention then focused on the men's county 2-wood singles. Most of the early rounds in the southern half of Northants were again played at Abington, as they were last year, on Sunday 15th July. Unlike last year though, no-one was able to take advantage and reach the quarters. Adam Brown, who went on to qualify for the national championships last season, found his run this time ended at the second round - by his own father, Jonathan. Mick Taylor came away with the outstanding result of the day - from an Abington perspective - seeing off Express star Chris Bland 16-15, a man currently awaiting a semi-final in the county 4-wood singles. However, even this was quickly undone with the day's biggest loss in the next round, to that man Jamie Walker. Jamie's namesake and clubmate David Walker was joint most prolific assassin of our players on the day, knocking out three of them in turn - Dunkley, Colin Barnes and John Freeman. Ironically, it would take another Abington scourge, Dave Iddles of Kingsthorpe, who had begun the day with a 6-15 hammering of our own Dave Fage, to end Walker's run. Express' Rob White bettered this though by defeating three of our men - and then also Jamie Walker to reach the quarters. Rob Archer, Phil Reeve and Adam Hawkings were the forlorn trio here. The first two offered little resistance to White's pin-point draw bowling, it has to be said, but Hawkings was desperately unfortunate to lose his encounter 12-13. It would be fair to say that on the whole we have been battered this week - but though bruised we are not totally beaten yet.